Biohacking Book Review : The Creative Destruction of Medicine « Adafruit Industries – Makers, hackers, artists, designers and engineers! Eric Topol (M.D.) 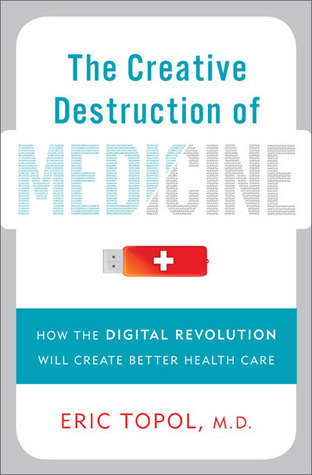 started changing the future of health care with his book “The Creative Destruction of Medicine“. 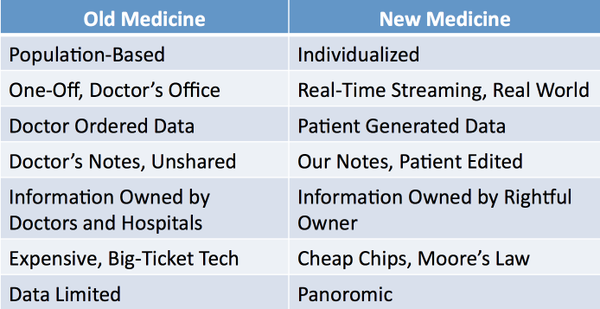 In this work he does an incredible job of looking at currently available technologies and social media and then matching them with todays medical industry shortcomings. The author suggests that through constant monitoring using wearables combined with of rapid decline in the price of DNA sequencing and imaging technologies the patient will be empowered. As the patients have more data through self-tracking it leaves them in an awkward position as physicians have not necessarily caught up with interpreting the data from these modern techniques. It is at this point that Eric calls for a complete overhaul of hospitals and doctor’s offices to make use of remote monitoring and virtual house calls.